WHAT IS CUPPING AND SHOULD YOU TRY IT?! Have you ever seen people walking around with huge red circles on their skin? It's becoming more common and it's less shocking when you find out it's not actually from an octopus attack. If you still don't know what I'm talking about...the large round red marks come from a treatment called cupping. Lot's of athletes have been getting this treatment and now everyone is starting to reap the benefits. 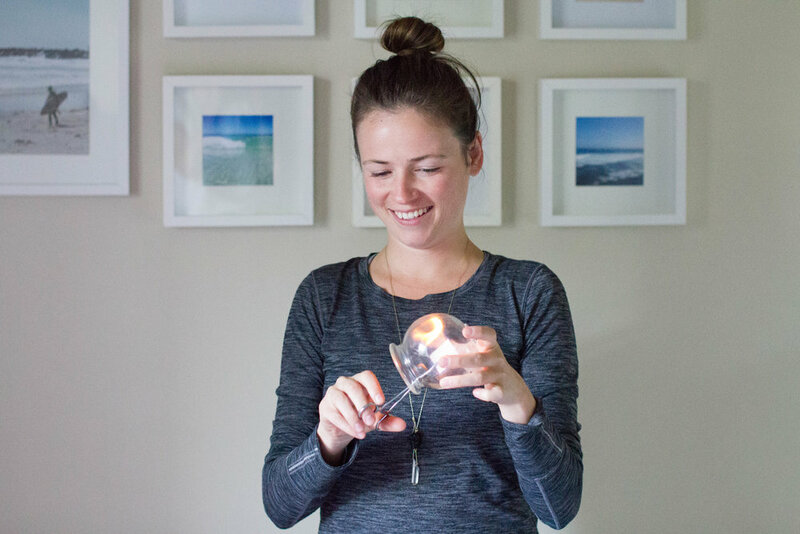 I am so excited to introduce you to Sydney Starko, the boss babe that introduced me to cupping. Sydney is an RMT (registered massage therapist) and has been keeping my body in line for the past 5 years. Don't be fooled by her petite appearance, this girl is strong. She specializes in deep tissue massage and cupping. 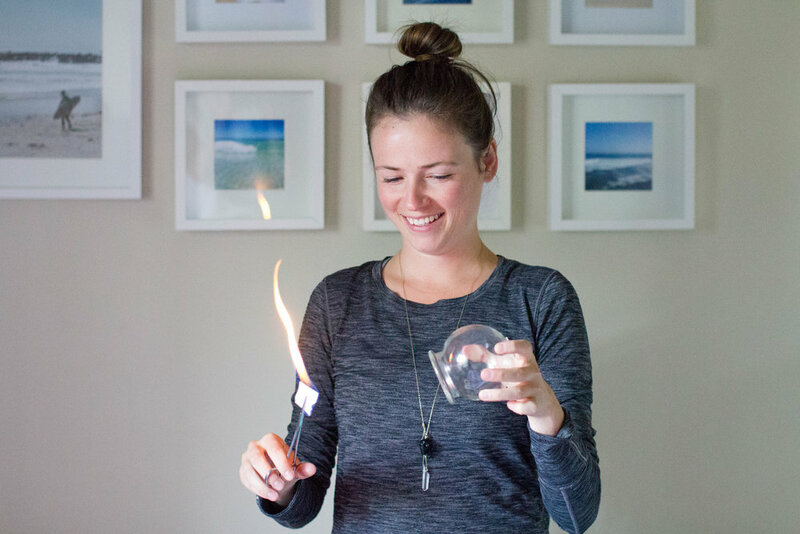 Don't be afraid of Sydney's fire cups. The fire is used to vacuum the air out of the cup so that it can act like a suction cup on your muscles. You won't feel the fire when she's doing it (it just looks cool). So how do you know if you need cupping? To be honest, every body needs cupping. It has so many benefits. To name a few: it's great for detox, tissue health, scarring, circulation, skin health, immunity, and so much more. It can be especially helpful if you have a chronic injury or something that has been bothering you for a long time and nothing else is working. Sydney uses cupping to compliment her already amazing massages. It helps her get deeper into the muscles and adds another dimension of muscle release. Our skin and muscles are made up of layers and the suction from the cups pulls the fascia and other layers up off the body to create more space so that blood can flow which means faster healing. The cupping in the photos is a typical detox pattern. This can detox your body from many things, including if you work in an environment with chemicals or bad air quality. Now that we are coming into the fall season it's a great time to start a regular cupping routine to boost your immunity from cold and flu. I'm sure you're wondering if it hurts. It all depends on what is happening with your body and what area you're getting cupped. From my experience it doesn't hurt it's just a very tight and pulling sensation. The red marks that are left behind are from the collection of fluid in a concentrated area. They are kind of like huge hickeys. The darker your spots are the more stagnation was in that area which means you really needed it there. The amount of time it takes to go away depends on the person. If you are very active and your marks aren't too dark it will take about 1-2 weeks. If you're treating an old injury and your marks are very dark it could take 2-3 weeks but each day it fades more. The photo below was a few days after a previous cupping session. Octopus? Hickeys? Or some #cupping ? Your body will usually let you know when it needs another massage and cupping but it's usually best to go every 4-6 weeks. To ask Sydney more questions or to book an appointment you can call 587-572-7520 or email sstarko@physicalsolutions.ca. I can't wait to see your cupping marks!